This wideband antenna provides coverage across entire UHF frequency band and provides range equivalent to the XPR 6000 whip antennas. 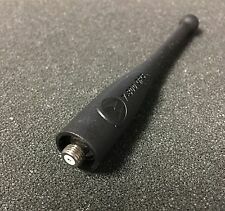 Motorola 8505644V02 VHF Heliflex Antenna. New Motorola PMAE4003A Original UHF 430-470 MHz Stubby Antenna - 3.5"
Motorola PMAE4003A Antenna Stubby UHF. Short, non-obtrusive stubby antennas are ideal for radios worn on the belt. 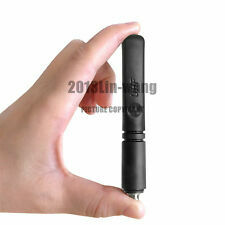 This rugged, 9 cm stubby antenna features a cap less sheath for maximum flexibility. XTS1500 XTS2500 XTS3000 XTS3500 XTS5000. (Will not fir motorola Saber I II III ,fit Astro-Saber Digital radio). Compatible with :Motorola. VHF Band, Helical 136-178 MHz - "RED" Color Code. ". MTX800 MTX838 MTX8000 MTX9000 MTX-LS. Length designed for higher gain to maximize range. Radio not included. This is a great shot in the boundary waters area of northern Minnesota. Elbow Lake MN. We do our best to see that process through. CM200, CM400, PM400, M130, M208, M216, M1225, SM50, SM120, LCS2000, GTX, MAXTRAC CDM Series, Radius Series, and GTX800. New Motorola cigarette lighter adapter power cord. This antenna operates in the VHF, 700/800 MHz, U1 and U2 range for maximum interoperability. KT000026A01 ALL-BAND ANTENNA. Compatible with MOTOROLA radios. Fits Motorola HT750, HT1250, HT1550. OEM Motorola 6" UHF Heliflex Antenna. NEW Factory Sealed. Fits Motorola HT750, HT1250, HT1550. OEM Motorola 6" VHF Heliflex Antenna. 3 microphones. 5 batteries total. UHF 3.5" Stubby Antenna. UHF Hand Held Radios. UHF Base Antennas. A little boy get his team jersey. A mom put food on the table. CB & Scanner Antennas. Dual Band Base Antennas. Radio Accessories. Condition is Used. Motorola H01KDD9AA4AN Portable Radio. 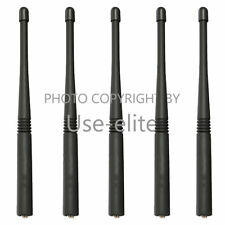 Motorola Saber and HT600 UHF Antenna for 400-512Mhz New in the package. CP200 CP200D CP200XLS CP150 P1225 PR400 SP50. Motorola OEM UHF stubby NAE6522 NAE6522AR 438-470mhz. CT150 CT250 CT450. An alternative to Motorola PMAE4048A. 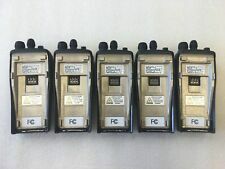 XPR6000 series: XPR6100, XPR6350, XPR6380, XPR6550, XPR6580, XPR6500, XPR6300. APX4000, APX8000. UHF Stubby Antenna 450-512MHz. MT2000 UHF Radios, pair of two UHF they are programmed on gmrs freqiencies. - comes with 1 impress charges and cord,two batteries with belt clips, two radios and two antennas, radios are in excelllent condition. Motorola PMAE4095B. It is ideal when the radio is worn on a belt because the short antenna is non-obtrusive. This UHF antenna operates in the 435-470 MHz range. PMAE4095B Features UHF Stubby Antenna. MOTOROLA XPR3300 XPR3500 XPR7350 XPR7550. 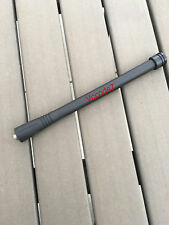 Motorola genuine UHF stubby OEM antenna for Motorola radios. HT10, HT50, HT600, HT750,HT1250, HT1250-ls, HT1250-ls , HT1550, HT1550-xls. SP50, SP10, P10, P50, P100, P110, P200, P210, P1225, P1225-LS. CP040,CP140, CP150,CP160,CP180, CP185,CP190, CP200. PR400, PR860. MOTOROLA XPR3000 XPR3300 XPR3500 radios. PMAE40 70A UHF stubby antenna for Motorola radios. 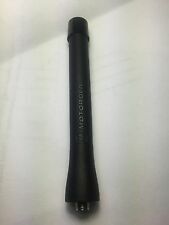 OEM MOTOROLA NAD6502AR 6" Antenna New - Original packaging - FREE SHIPPING. DTR410 DTR550 DTR650 DTR600 DTR700. 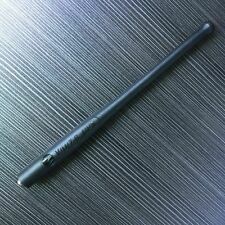 8505241U04 800/900MHZ FLEXIBLE WHIP ANTENNA. It works in the 896-941 MHz range.